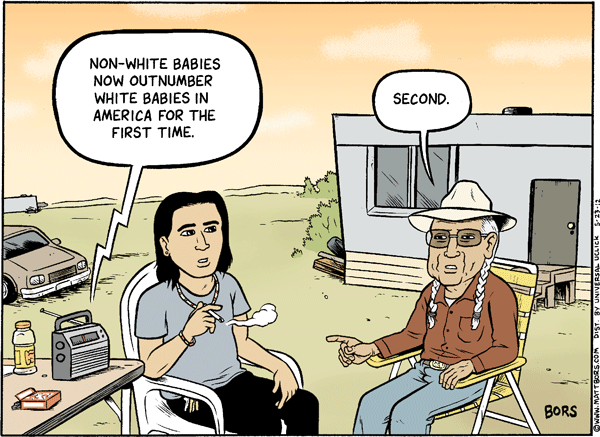 From Matt Bors, White Babies Outnumbered. 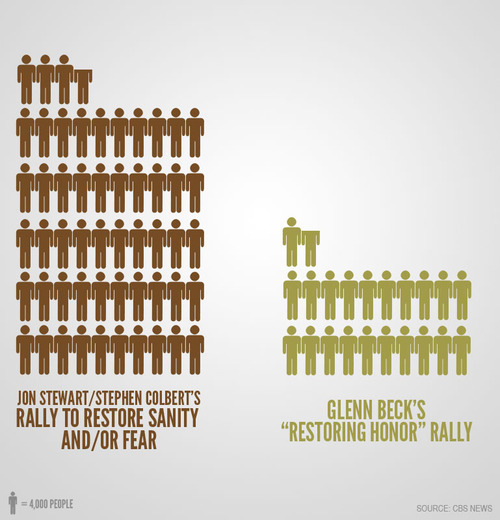 via Infographic of the Day: ~215,000 vs. ~87,000. In case you were…. 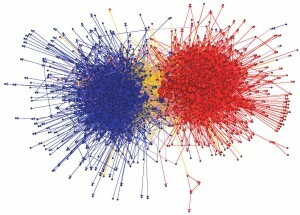 This data visualization showed the linking between conservative (red) and liberal (blue) blogs in 2004. 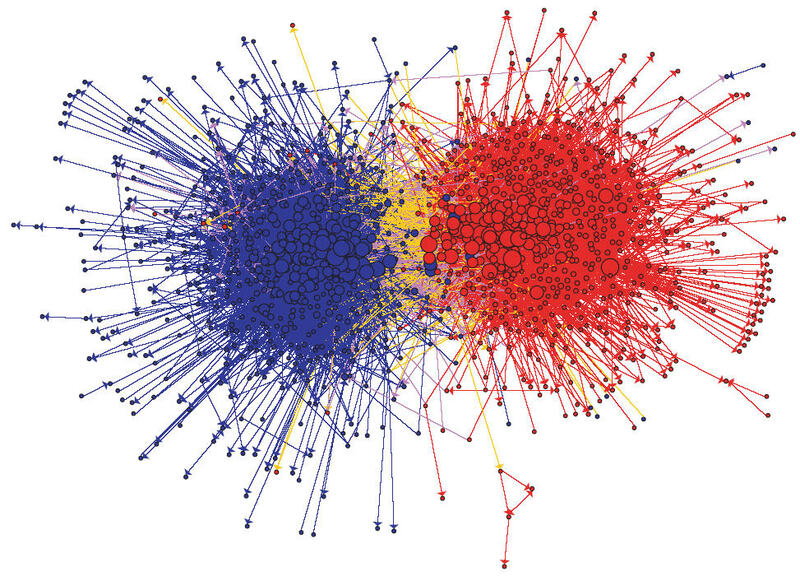 Particularly interesting is the relatively fewer links between the two ideologies, and comparatively few blogs in the center. This rather old study seems all the more relevant given the frequency we hear about “deep divides” between liberals and conservatives on every major issue. More troubling to me is the seeming replacement of fact-based reporting with “he said / she said” commentary alternates, where news has been replaced with merely letting opponents spew talking points without any critical review or fact checking. As we read news and opinion on the web, do we exclusively stick to sources that we agree with, or do we spend time “on the other side of the street?” Is it normal and natural for us to stick with people that think as we do, and if so how do we challenge our thinking and grow over time? Do a Google search on selective exposure debate and I think you’ll see that there is general agreement that selective exposure does happen, i.e. 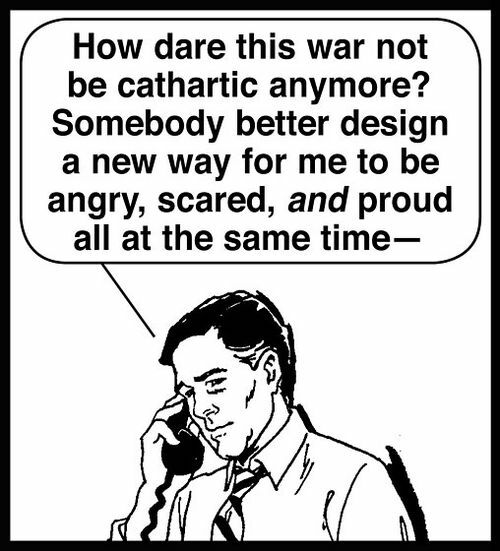 that people do choose viewpoints and world views that align with their own. There may be less agreement on whether people actively reject opposite viewpoints, or simply don’t give those viewpoints time during their on-line sessions. This dry, somewhat academic-sounding “debate” is vitally important to us today as we consider the deep divide between liberal and conservative viewpoints, or if we seek to understand underlying causes for religious and ethnic intolerance. 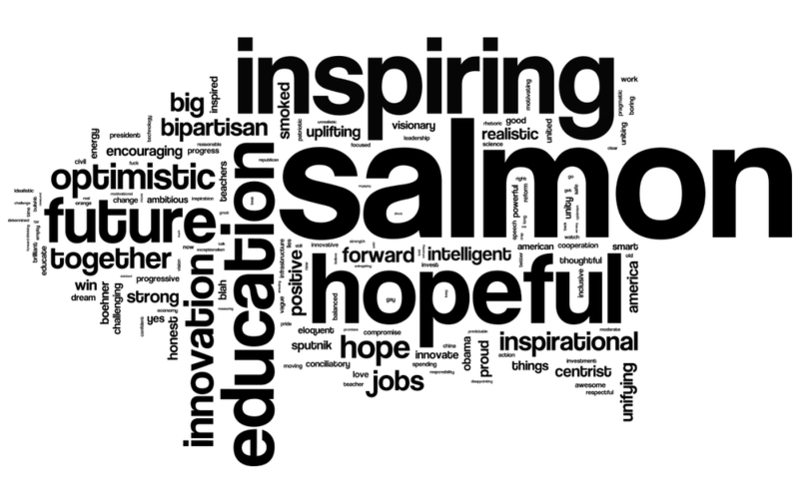 “The Political Blogosphere and the 2004 U.S. Election: Divided They Blog”, March 4, 2005 by Lada Adamic, HP Labs, Palo Alto, CA and Natalie Glance, Natalie Glance, Intelliseek Applied Research Center, Pittsburgh, PA. 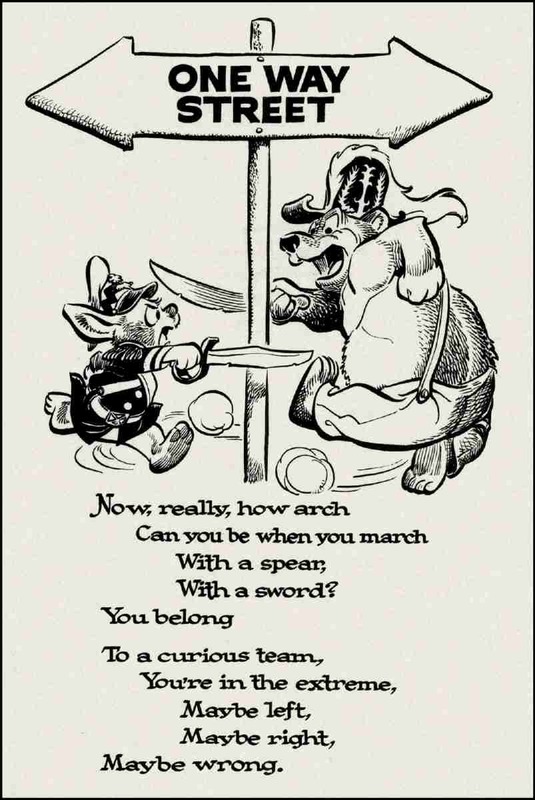 Via Andrew Sullivan, A Tale of Two Blogspheres.